We are proud to invite you and your athletes to participate in the 3rd ASTERIKS Cup, which will be held in Nis Serbia on 26 th May, 2018. 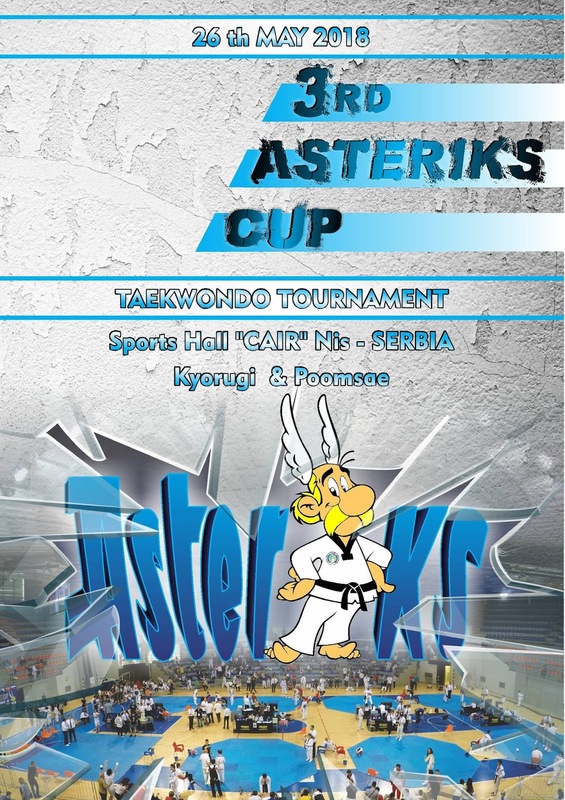 Taekwondo Club ASTERIKS wishes good luck to all participants and wehope that all of you will have a wonderful time and a pleasant stay in our city. KYORUGI Scoring: PSS DaeDo will be used.